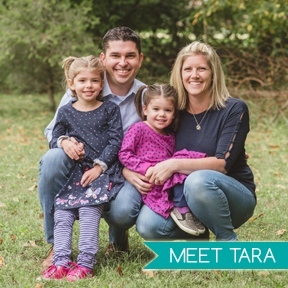 Wedding season is quickly approaching and so is the time to celebrate summer babies! 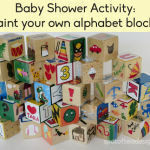 Are you in charge of a baby shower or bridal shower and looking for a fun activity to break the ice and entertain guests? 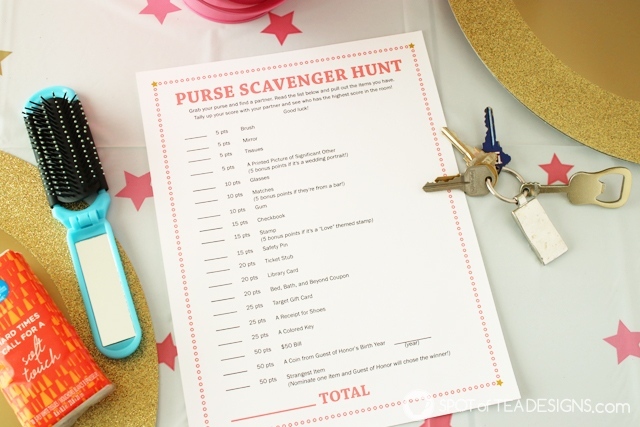 Consider the purse scavenger hunt! 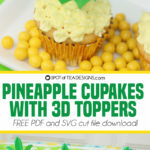 Download this free printable and have fun with a group a women and their bag of tricks! 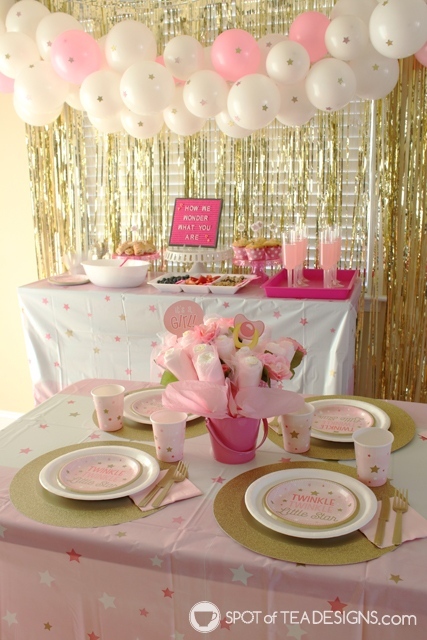 Being in my mid 30s, I’ve been to my fair share of bridal showers and baby showers so I’ve played my fair share of party games. 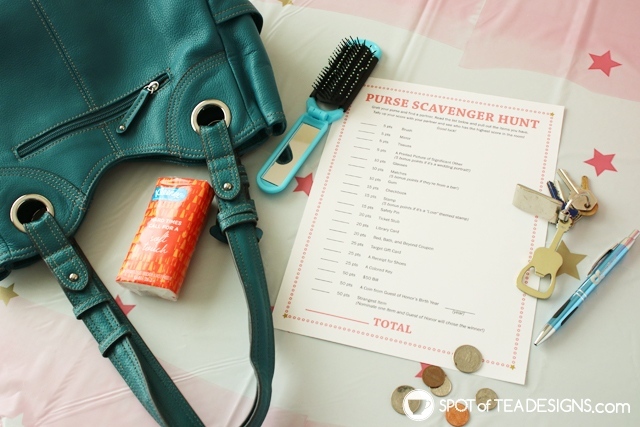 One of the favorites we did with both my bestie’s bridal shower and my bridal shower was a purse scavenger hunt. 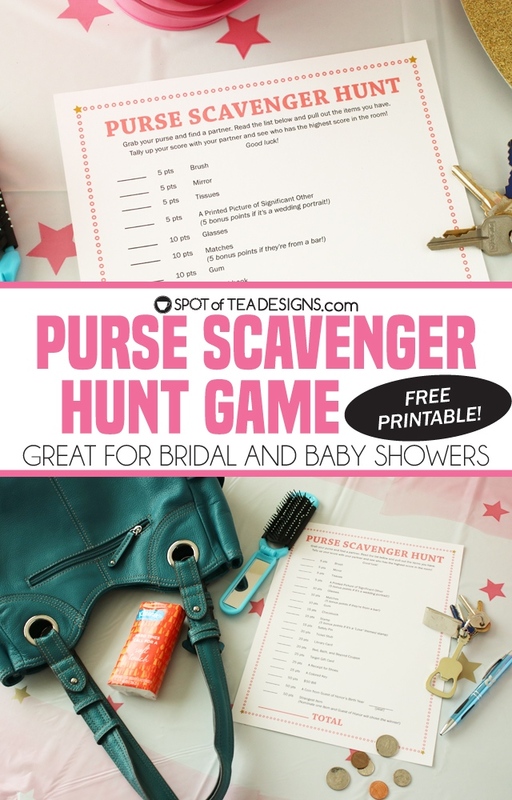 As women tend to tote around their purses everywhere they go, and throw lots of oddities inside, it’s an easy resource for a fun game! 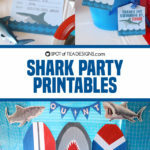 To play, just download and print my free printable and give one to each guest. 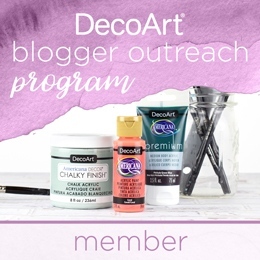 Guests should pair up and do their best to sort through their purse pockets and change purses trying to find all the goodies listed on the sheet. There’s even one piece that the guest of honor judges before awarding the points. 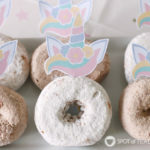 This game was recently featured in a Twinkle Twinkle Little Star Baby Shower I styled for Wholesale Party Supplies!